Amazon may have left, but Netflix is expanding its New York state of mind. The SVOD behemoth April 18 announced it is spending $100 million for a new production facility in New York, that also includes office space for 127 executives in content, marketing and production. The streaming video pioneer will also inhabit a Brooklyn-based production space with six sound stages and the capacity to house thousands of jobs within five years. “Netflix is innovative, creative and bold – just like New Yorkers – and the expansion of this cutting-edge company in New York once again demonstrates the Empire State is open for business,” Governor Andrew Cuomo said in a statement. 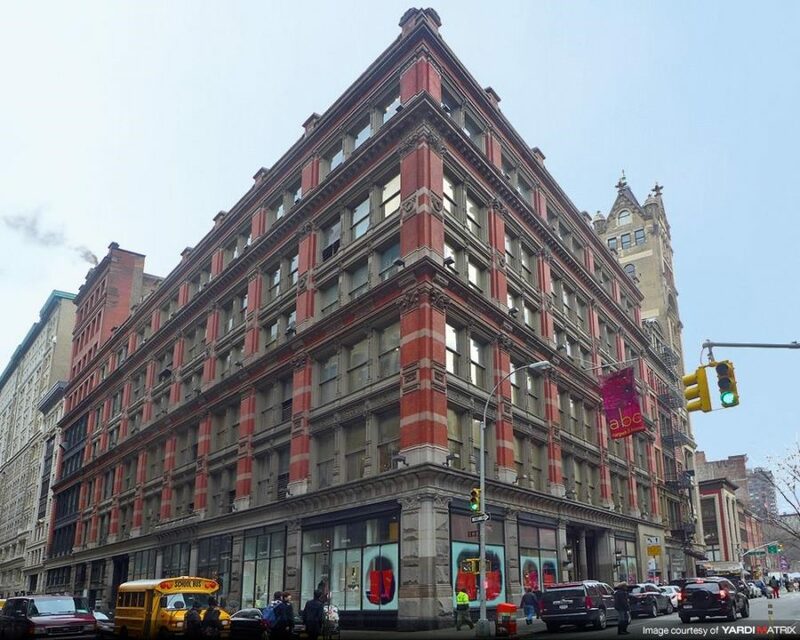 Netflix’s new corporate offices will take up approximately 100,000 square feet at 888 Broadway in Manhattan’s Flatiron District. The offices will house the aforementioned executive positions in addition to Netflix’s 32 current New York-based employees. The company – which has a long history of production in New York including “Orange is the New Black,” “Unbreakable Kimmy Schmidt,” She’s Gotta Have It, The Irishman, Someone Great, “Private Life” and “Russian Doll” – has also leased approximately 161,000 square feet to build six sound stages at 333 Johnson Avenue in Brooklyn. “Thanks to Netflix, online streaming has become as commonplace as cable television, and maybe even more accessible – and their decision to expand in New York is a validation of our work to support and develop New York’s technology, entertainment and production industries,” said Empire State Development commissioner Howard Zemsky. To support Netflix’s infrastructure expansion, Empire State Development offered up to $4 million in performance-based tax credits over 10 years, which are directly tied to real job creation. To receive the full incentive, Netflix must create the 127 jobs by 2024 at its new executive production office and then retain those new jobs and their existing 32 office jobs for another five years. The tax incentive pales in comparison to the billions offered Amazon, which ultimately pulled out of its Long Island headquarters expansion following political pushback. Labor leaders applauded the news. “Hardworking crew members are the foundation of New York’s film industry, and this project invests in their future,” said John Ford, president of Motion Picture Studio Mechanics Local 52, I.A.T.S.E. 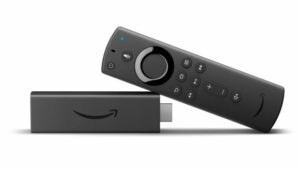 In a first, Amazon and Google April 18 announced the two companies will launch the YouTube app on Amazon Fire TV devices and Fire TV-enabled smart TVs, as well as the Prime Video app to Chromecast and separately-enabled devices. Fire TV, Google Chromecast, Apple TV and Roku dominate the streaming media device market. Prime Video will also be available across Android TV device partners, and the YouTube TV and YouTube Kids apps will also come to Fire TV later this year. Google owns Android TV. The YouTube app will be the easiest way for users to watch YouTube content on Fire TV. Users will be able to sign in to their existing YouTube account, access their full library of content, and play videos in 4K HDR on supported devices. In addition, standalone YouTube TV and YouTube Kids apps will also launch later this year on Fire TV devices and Fire TV Edition smart TVs where available. 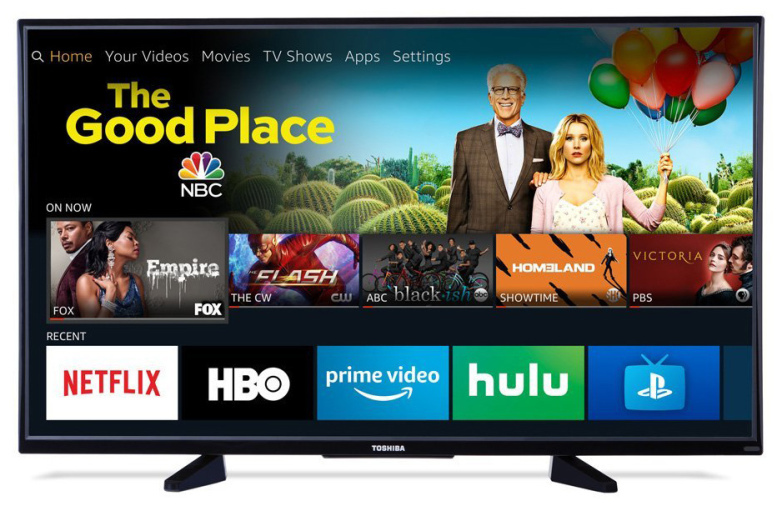 “Bringing our flagship YouTube experience to Amazon Fire TV gives our users even more ways to watch the videos and creators they love,” Heather Rivera, global head of product partnerships at YouTube, said in a statement. 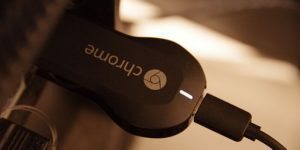 Chromecast, along with Android TV users, will have access to the Prime Video catalog, including the latest seasons of Amazon Originals “The Marvelous Mrs. Maisel,” “Hanna,” “Homecoming,” “Bosch,” “Catastrophe” and “The Grand Tour,” along with Amazon Original movies such as Donald Glover’s Guava Island, and Academy Award-nominated films The Big Sick and Cold War. With Prime Video users can also rent or purchase titles or choose from more than 150 Prime Video Channels, including Showtime, HBO, CBS All-Access, Cinemax and Lionsgate-owned Starz. “Whether watching the latest season of The Marvelous Mrs. Maisel, catching teams go head-to-head on Thursday Night Football or renting a new-release movie, customers will have even more ways to stream what they want, whenever they want, no matter where they are,” said Andrew Bennett, head of worldwide business development for Prime Video. Despite adding 10 million subscribers in the first quarter (ended March 31), and 31 million subs in 2018, Netflix’s market share in North America is projected to decline from 37% to 25% by 2024, according to new data from Digital TV Research. The London-based research firm based the decline in part on pending OTT services launches from Disney, Apple, WarnerMedia and Comcast. The report contends the number of SVOD subscriptions (movies, linear channels and TV episodes) – excluding platforms such as sports services – in North America increasing by 110 million to 270 million from 160 million in 2018. The report said the data represents gross subscriptions as many households include more than one SVOD platform. Digital TV Research forecasts that 77.8% of TV households (94 million) will subscribe to at least one SVOD platform by 2024. The average SVOD household will pay for nearly three (2.89) SVOD subscriptions. This compares to 70% of TV households (84 million) TV households subscribing to at least one SVOD platform by end-2018. The average SVOD subscriber paid for nearly two (1.91) SVOD platforms at end-2018. 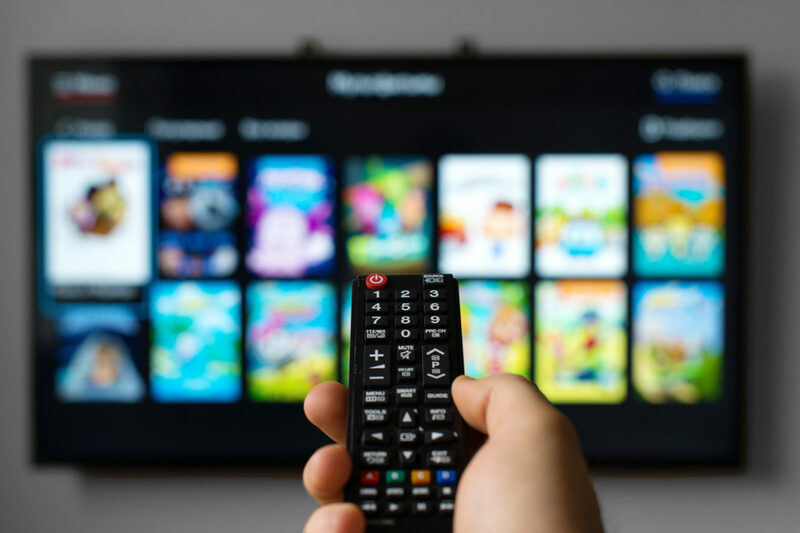 A new report from Futuresource Consulting found that mainstream adoption of subscription streaming video continues to grow worldwide – reaching 60% of households in North America, 26% in Western Europe, 21% in Asia-Pacific and 19% in LATAM. “SVOD has come of age, with consumer spend exceeding $29 billion last year, up 38% on 2017,” principal analyst David Sidebottom said in a statement. The analyst cited improving broadband quality, smart TV penetration, availability of services and perceived consumer value. Netflix and Amazon Prime Video accounted for 33% of all subscriptions globally in 2018 – but almost 66% total consumer spending on SVOD. Disney’s acquisition of Fox, along with the completion of AT&T’s acquisition of Time Warner and pending OTT platform bow from WarnerMedia will further shape the SVOD landscape in the U.S. and, in the longer term, worldwide, according to London-based Futuresource. Indeed, the report contends competitors to Netflix continue to underperform, with complementary services standing better odds of success. Futuresource said exclusive, relevant and local content, particularly outside the U.S., is requisite to capturing and holding audience appeal. While the uptake of multiple OTT services will continue to drive overall subscription numbers, the market will be limited to a small number of clearly differentiated and complementary services. This makes a carefully defined market and content strategy even more crucial, according to the report. “Consumers face an increasingly confusing video landscape,” Sidebottom said. He said Amazon Channels and pending Apple TV+ are both well-placed to succeed in the increasingly fragmented world of aggregation, but both currently lack “ubiquity of content” internationally. “This new breed of ‘super aggregators’ will become an important component in the battle for the living room TV, though, in many instances, they have yet to fully realize the three consumer requirements, including quality, original content and price,” Sidebottom said. 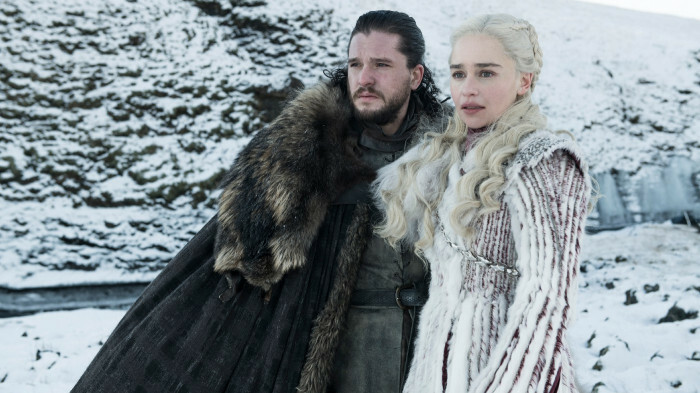 The 9:00 p.m. airing was viewed by 11.8 million viewers, surpassing the season seven premiere of 10.1 million viewers and slightly behind the season seven finale of 12.1 million viewers. Netflix added almost 10 million new subscribers in its most-recent fiscal period, nearly topping 150 million subscribers globally. The SVOD pioneer added 31 million subs in 2018. The sub growth ended – for the moment – naysayer illusions the SVOD giant had become a cash cow – economic short hand for a business generating plenty of cash but waning growth potential. More importantly, critics contend Netflix is beholden to Hollywood studios for content, the same studios now readying their own rival SVOD platforms to compete with Netflix. 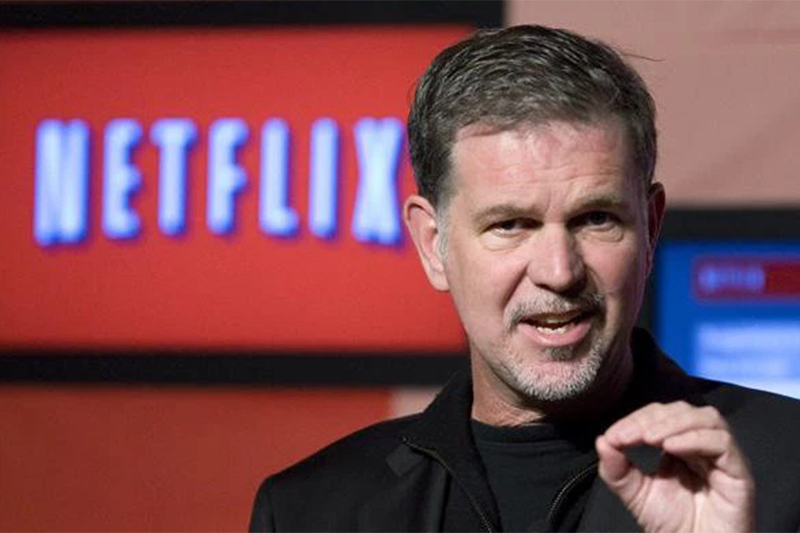 With Disney, WarnerMedia and NBC Universal reportedly set to pull back content license agreements with Netflix by 2020 – if not sooner – scuttlebutt suggests the streamer has become vulnerable and overly dependent upon internal content production. Indeed, Disney, which is majority owner of Hulu and online TV service, Hulu with Live TV, will launch proprietary SVOD service Disney+ in November – fortified by content (i.e. Disney, Pixar, Marvel and Star Wars) originally earmarked for Netflix. To their credit, Netflix brass Reed Hastings and Ted Sarandos welcome the competition, while dismissing the threat. As well they should. Disney+ isn’t set to launch for another seven months. WarnerMedia and Comcast aren’t bowing OTT platforms until 2020. An eternity in the rapidly evolving digital distribution ecosystem. While Disney+ will be priced below Netflix’s basic subscription plan, its content offering will pale in size to Netflix. The platform is also not projected to be profitable until 2024. That’s five years of sustained losses. Hulu may have 25 million subs, but it remains a fiscal black hole to its corporate owners (which includes Comcast) since launching in 2007. Disney’s Direct-to-Consumer & International business segment, which operates Hulu and Disney+, lost nearly $800 million in 2018. Disney expects to have 60-90 million subscribers by 2024, less than half of Netflix’s projected base. To put it in perspective: Netflix’s sub growth (over 90 days) this year topped the combined subscriber count for CBS All Access and Showtime OTT at the end of 2018 – by 20%. Netflix’s conservative estimate of 5 million new subs in Q2 equaled HBO Now’s total membership – three years after its 2015 launch. 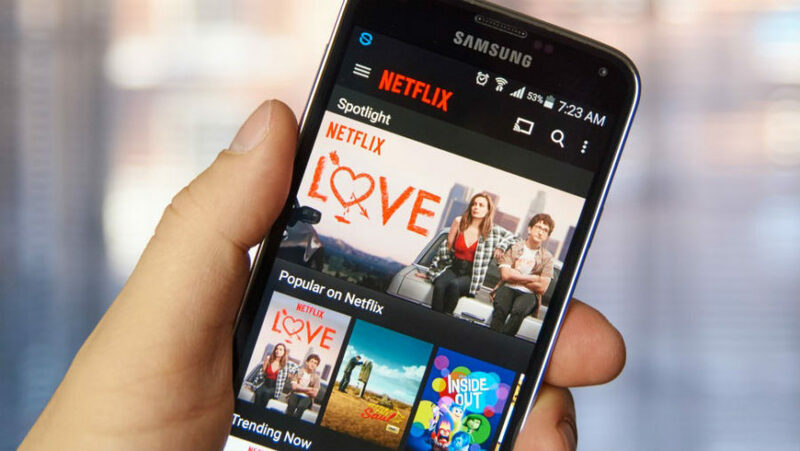 In fact, many Netflix rivals have resorted to sacrificing revenue and user data in hopes of generating subscribers through Amazon Channels, the ecommerce giant’s platform marketing third-party OTT services to Prime members. It’s an opportunistic business model Apple is replicating with Apple TV+. “All of the media companies will have to become more consumer-oriented,” Jessica Reif Ehrlich, media analyst for Bank of America Merrill Lynch, said in a research note last summer. Translation: Media companies have to become more Netflix-oriented. Consumer spending in Denmark’s home entertainment market grew 7% in 2018 to DKK 10.21 billion ($1.53 billion) – driven by over-the-top video, transactional VOD and EST growth, according to new data from Futuresource Consulting. As a result, Denmark saw a total of 1.2 million households subscribing to at least one SVOD service, leading to household penetration of 46% in 2018 – par with the Nordic region average, which led European penetration rates in 2018. Transactional VOD continues to grow, but at a slower pace than EST, with spend increasing 18% to DKK 96 million in 2019 – and an average of 16% annually through 2023. Much attention has been given to major media companies such as Disney, NBC Universal and WarnerMedia pulling back content licensing to Netflix for their own branded over-the-top video platforms – and what impact that would have on the SVOD juggernaut. Not much, according to CCO Ted Sarandos, who says the streaming service has anticipated such changing market dynamics for the past seven years. 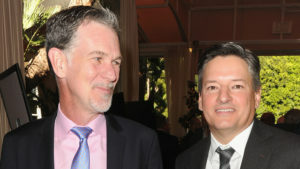 Speaking on the April 16 fiscal webcast, Sarandos said CEO Reed Hastings and others long ago concluded Netflix’s future required streaming original scripted series, unscripted series, feature films, documentaries, standup comedy and children’s programming. “And that’s what we set out to do,” he said. Longtime Netflix bear Michael Pachter, media analyst with Wedbush Securities in Los Angeles, contends about 80% Netflix’s content license deals with WarnerMedia (“Friends”) and NBC Universal (“The Office”) expire in 2020. “You look at [global nature series] “Our Planet,” that’s not filling in for anything else, that’s setting a bold new vision of what programming can be,” he said. Sarandos said Netflix original interactive series, “You vs. Wild,” has been streamed by about 25 million households in its first 28 days of release. Pending releases include Klaus, Netflix’s first animated feature film from veteran animator Sergio Pablos, and “Green Eggs and Ham,” Ellen DeGeneres-produced 13-episode animated series. “It’s pushing storytelling forward, which I think we’re trying,” he said. The longtime content executive contends most TV programming is largely interchangeable. Netflix’s focus, according to Sarandos, is original programming (such as India’s “Sacred Games,” and “Love Per Square Foot,”) targeting local audiences that can appeal globally as well. “If you look at our Top 10 most-watched shows on Netflix, they’re all Netflix original brands,” he said, adding that only four TV series among the service’s Top 25 have at least one season available elsewhere. “It’s hard to imagine … a couple of years ago when Fox said, ‘sunset all of their second-window content on Netflix off of the service to focus on their own efforts,’ and we’ve seen how we’ve been doing since 2017, so we’re pretty happy about it,” Sarandos said. So is Wall Street, which lifted Netflix shares nearly 3% in April 17 pre-market trading. Netflix to Release Viewership Data Going Forward; Top 10 Program Rankings in the U.K.
Netflix says it would begin revealing more viewership data as the SVOD attempts to woo new subscribers and maintain its market leader status in a crowding over-the-top video ecosystem. Speaking on the April 16 fiscal webcast, CCO Ted Sarandos said the service would become more transparent with data. Earlier Netflix disclosed it would begin releasing in the United Kingdom the Top 10 most-popular Netflix programs across different genres. The SVOD pioneer, which has traditionally been reluctant to release viewership data, has been more forthcoming with viewer data for new-release movies, including Bird Box, Triple Frontier and The Highwaymen, among others. The listing, which would not include actual viewership data, underscores increased scrutiny on streaming viewer data as new players such as Apple TV+ and Disney+ prepare to enter the market. Netflix secretive viewership data has prompted third-party services such as Parrot Analytics and The Binge Report to release weekly Top 10 digital viewership reports — often dominated by Netflix programming. Author Erik GruenwedelPosted on April 16, 2019 April 16, 2019 Categories 4K Ultra HD, Digital, DVD/Blu-ray Disc, International, Marketing, News, Retail, Streaming, Top News Story, Top Sellers, TVTags Netflix, Parrot Analytics, The Binge Report, United KingdomLeave a comment on Netflix to Release Viewership Data Going Forward; Top 10 Program Rankings in the U.K.
Netflix hit another home run in subscriber growth, adding record 9.6 million net additions in the first quarter, ended March 31 – up more than 16% from 8.26 million net additions in the previous-year period. Netflix ended the period with 148.86 million paid subs, up 25.2% from 118.9 million subs in the previous-year period. The subscription streaming video pioneer April 16 said it added 1.74 million domestic subs to 60.2 million, in addition to 7.86 million subs internationally to 88.6 million. The service had forecast subscriber growth of 1.6 million domestic and 7.3 million foreign. Wedbush Securities media analyst (and Netflix bear) Michael Pachter had projected 1.5 million domestic subs; 7.3 million internationally. Netflix posted net income of $344 million on revenue of $4.5 billion. That compared to net income of $290 million and revenue of $3.7 billion during the previous-year period. 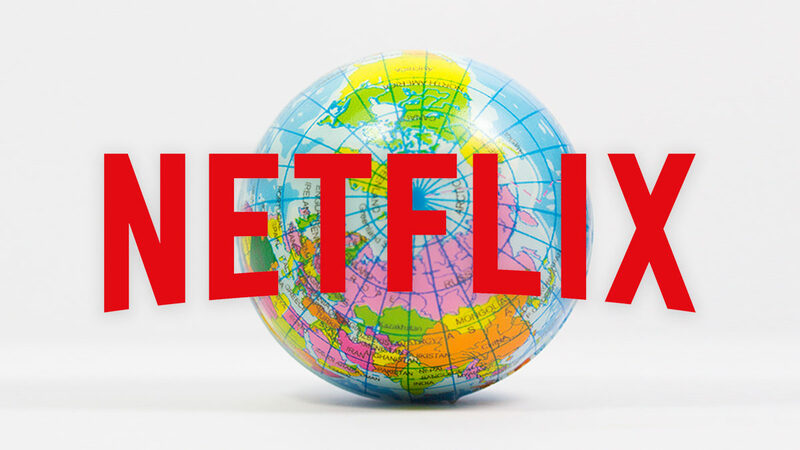 Notably, Netflix alluded to its recent price hikes in the U.S., Brazil, Mexico and parts of Europe having some effect in the current quarter. Indeed, the streamer is projecting 5 million new subs in the current second quarter (ending June 30) — about 1 million below Wall Street projections. “The response in the U.S. so far is as we expected and is tracking similarly to what we saw in Canada following our Q4’18 increase, where our gross additions are unaffected, and we see some modest short-term churn effect as members consent to the price change,” CEO Reed Hastings and CFO Spence Neumann wrote in the shareholder letter. Hastings and Neumann said they don’t expect Apple TV+ and Disney+ to materially affect its growth because the ongoing transition from linear to on-demand video is “so massive” ​and because of the differing nature of Netflix’s content offerings​. 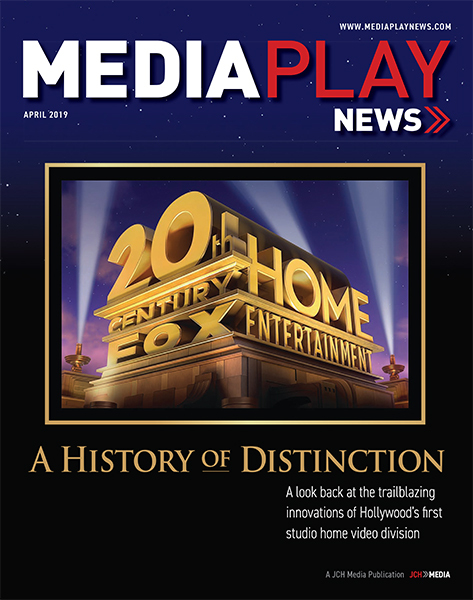 “We believe we’ll all continue to grow as we each invest more in content and improve our service and as consumers continue to migrate away from linear viewing [similar to how U.S. cable networks collectively grew for years as viewing shifted from broadcast networks during the 1980s and 1990s],” Hastings and Neumann wrote. Netflix’s legacy by-mail disc rental service continues to generate significant operating income. The oft-neglected (by management) business contributed $46.7 million in operating income on revenue of $80.6 million. That compared to operating income of $56.8 million and revenue of $98.7 million last year. The service ended the period with more than 2.5 million disc subscribers, down from 3.1 million subs last year. 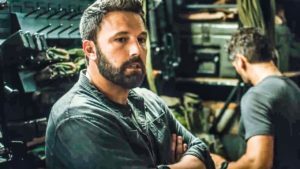 Netflix said new-release movie, Triple Frontier, ​starring Ben Affleck, has been watched by more than 52 million member households in its first four weeks on Netflix. Woody Harrelson and Kevin Costner in ‘The Highwaymen’. 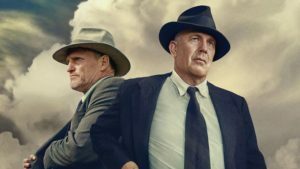 The streamer said new-release movie, ​The Highwaymen, starring Kevin Costner and Woody Harrelson as two lawmen attempting to bring Bonnie and Clyde to justice, is on track to being watched by more than 40 million subscriber households in its first month. Separately, Netflix said original documentary, FYRE: The Greatest Party That Never Happened​, has been watched by more than 20 million member households in its first month on Netflix. Doc Our Planet​, filmed over four years in 50 countries, is tracking to be one of Netflix’s most successful global documentary series, with more than 25 million subscriber households projected to watch in the first month of release.